Shop for The Smashing Pumpkins mp3s. Get The Smashing Pumpkins essential facts below. 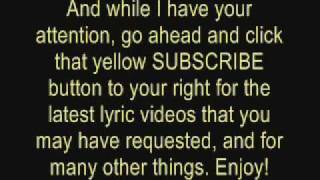 View Videos or join the The Smashing Pumpkins discussion. 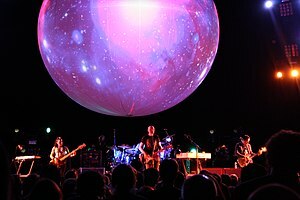 Add The Smashing Pumpkins to your PopFlock.com topic list for future reference or share this resource on social media. The Smashing Pumpkins (or Smashing Pumpkins[note 1]) are an American alternative rock band from Chicago, Illinois. 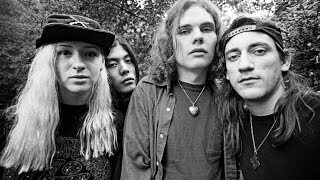 Formed in 1988 by frontman Billy Corgan (lead vocals, guitar) and James Iha (guitar), the band included D'arcy Wretzky (bass guitar) and Jimmy Chamberlin (drums) in its original incarnation. It has undergone many line-up changes over the course of its existence, with the current lineup being Corgan, Chamberlin, Iha and guitarist Jeff Schroeder. 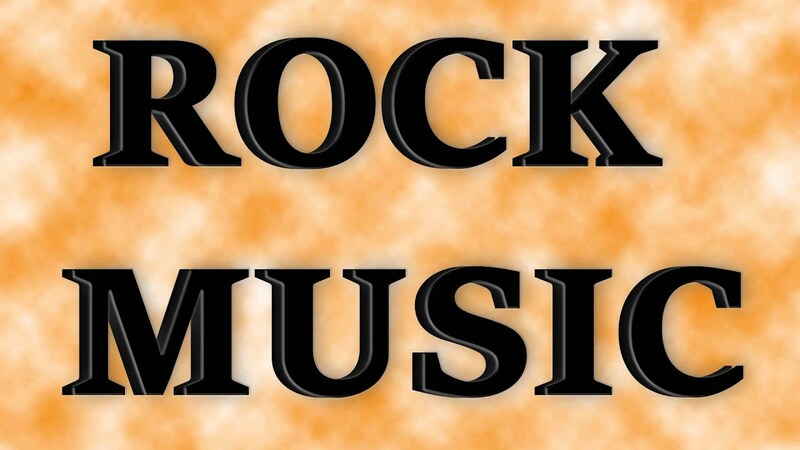 Disavowing the punk rock roots of many of their alt-rock contemporaries, they have a diverse, densely layered, and guitar-heavy sound, containing elements of gothic rock, heavy metal, dream pop, psychedelic rock, progressive rock, shoegazing, and electronica in later recordings. Corgan is the group's primary songwriter--his grand musical ambitions and cathartic lyrics have shaped the band's albums and songs, which have been described as "anguished, bruised reports from Billy Corgan's nightmare-land". 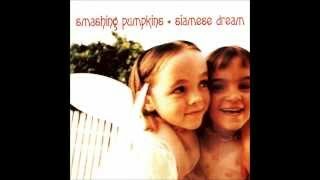 The Smashing Pumpkins broke into the musical mainstream with their second album, 1993's Siamese Dream. The group built its audience with extensive touring and their 1995 follow-up, the double album Mellon Collie and the Infinite Sadness, which debuted at number one on the Billboard 200 album chart. With 30 million albums sold worldwide, The Smashing Pumpkins were one of the most commercially successful and critically acclaimed bands of the 1990s. However, internal fighting, drug use, and diminishing record sales led to a 2000 break-up. In 2006 Corgan and Chamberlin reconvened to record a new Smashing Pumpkins album, Zeitgeist. 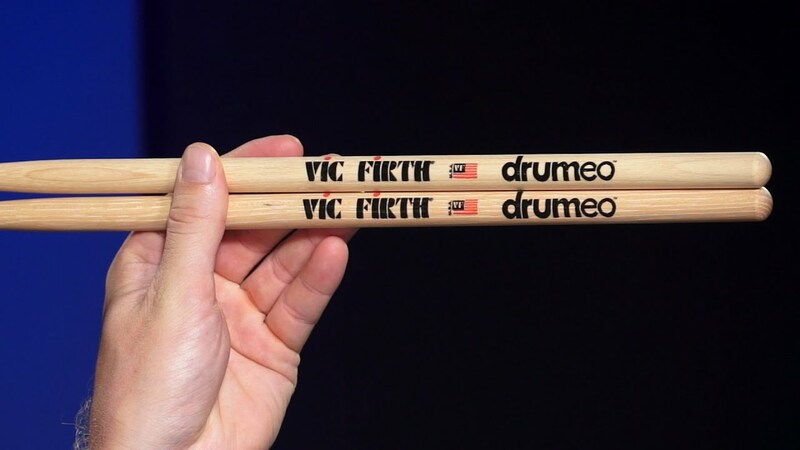 After touring throughout 2007 and 2008 with a lineup including new guitarist Jeff Schroeder, Chamberlin left the band in early 2009. Later that year, Corgan began a new recording series with a rotating lineup of musicians entitled Teargarden by Kaleidyscope, which encompassed the release of stand-alone singles, compilation EP releases, and two full albums that also fell under the project's scope--Oceania in 2012 and Monuments to an Elegy in 2014. Chamberlin and Iha officially rejoined the band in February 2018. After the breakup of his gothic rock band the Marked, singer and guitarist Billy Corgan left St. Petersburg, Florida, to return to his native city of Chicago, where he took a job in a record store and formed the idea of a new band to be called the Smashing Pumpkins. While working there, he met guitarist James Iha. Adorning themselves with paisley and other psychedelic trappings, the two began writing songs together (with the aid of a drum machine) that were heavily influenced by The Cure and New Order. The duo performed live for the first time on July 9, 1988 at the Polish bar Chicago 21. This performance included only Corgan on bass and Iha on guitar with a drum machine. Shortly thereafter, Corgan met D'arcy Wretzky after a show by the Dan Reed Network where they argued the merits of the band. After finding out Wretzky played bass guitar, Corgan recruited her into the lineup and the now-trio played a show at the Avalon Nightclub. After this show, Cabaret Metro owner Joe Shanahan agreed to book the band on the condition that they replace the drum machine with a live drummer. 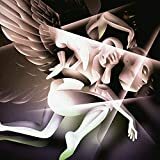 In 1989 the Smashing Pumpkins made their first appearance on record with the compilation album Light Into Dark, which featured several Chicago alternative bands. The group released its first single, "I Am One", in 1990 on local Chicago label Limited Potential. The single sold out and they released a follow-up, "Tristessa", on Sub Pop, after which they signed to Caroline Records. The band recorded their 1991 debut studio album Gish with producer Butch Vig at his Smart Studios in Madison, Wisconsin for $20,000. 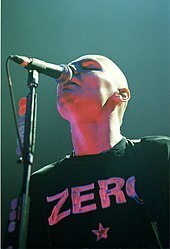 In order to gain the consistency he desired, Corgan often played all instruments excluding drums, which created tension in the band. The music fused heavy metal guitars, psychedelia, and dream pop, garnering them comparisons to Jane's Addiction.Gish became a minor success, with the single "Rhinoceros" receiving some airplay on modern rock radio. After releasing the Lull EP in October 1991 on Caroline Records, the band formally signed with Virgin Records, which was affiliated with Caroline. The band supported the album with a tour that included opening for bands such as the Red Hot Chili Peppers, Jane's Addiction, and Guns N' Roses. 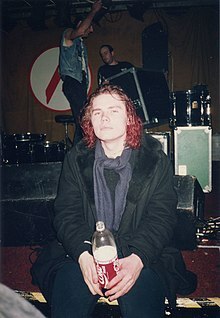 During the tour, Iha and Wretzky went through a messy breakup, Chamberlin became addicted to narcotics and alcohol, and Corgan entered a deep depression, writing some songs for the upcoming album in the parking garage where he lived at the time. 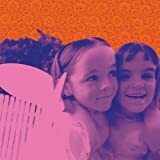 Despite all the problems in its recording, Siamese Dream debuted at number ten on the Billboard 200 chart, and sold over four million copies in the U.S. alone. Alongside the band's mounting mainstream recognition, the band's reputation as careerists among their former peers in the independent music community was worsened.Indie rock band Pavement's 1994 song "Range Life" directly mocks the band in its lyrics, although Stephen Malkmus, lead singer of Pavement, has stated, "I never dissed their music. I just dissed their status." Former Hsker D frontman Bob Mould called them "the grunge Monkees", and fellow Chicago musician/producer Steve Albini wrote a scathing letter in response to an article praising the band, derisively comparing them to REO Speedwagon ("by, of and for the mainstream") and concluding their ultimate insignificance. The opening track and lead single of Siamese Dream, "Cherub Rock", directly addresses Corgan's feud with the "indie-world". During 1995 Corgan wrote about 56 songs, following which the band went into the studio with producers Flood and Alan Moulder to work on what Corgan described as "The Wall for Generation X", and which became Mellon Collie and the Infinite Sadness, a double album of twenty-eight songs, lasting over two hours (the vinyl version of the album contained three records, two extra songs, and an alternate track listing). The songs were intended to hang together conceptually as a symbol of the cycle of life and death. Praised by Time as "the group's most ambitious and accomplished work yet",Mellon Collie debuted at number one on the Billboard 200 in October 1995. Even more successful than Siamese Dream, it was certified eleven times platinum in the United States and became the best-selling double album of the decade. It also garnered seven 1997 Grammy Award nominations, including Album of the Year. The band won only the Best Hard Rock Performance award, for the album's lead single "Bullet with Butterfly Wings". The album spawned five singles--"Bullet with Butterfly Wings", "1979", "Zero", "Tonight, Tonight" which Corgan stated was inspired by the Cheap Trick song "I'll Be with You Tonight",  and "Thirty-Three"--of which the first three were certified gold and all but "Zero" entered the Top 40. 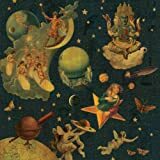 Many of the remaining songs that did not make it onto Mellon Collie were released as B-sides to the singles, and were eventually compiled in The Aeroplane Flies High box set. As a testament to the band's popularity, Virgin Records originally intended to limit the set to 200,000 copies, but produced more after the original run sold out due to overwhelming demand. In 1996 the Pumpkins undertook an extended world tour in support of Mellon Collie. Corgan's look during this period--a shaved head, a long sleeve black shirt with the word "Zero" printed on it, and silver pants--became iconic. That year, the band also made a guest appearance in an episode of The Simpsons, "Homerpalooza". With considerable video rotation on MTV, major industry awards, and "Zero" shirts selling in many malls, the Pumpkins were considered one of the most popular bands of the time. But the year was far from entirely positive for the band. In May, the Smashing Pumpkins played a gig at The Point Theatre in Dublin, Ireland. Despite the band's repeated requests for moshing to stop, a seventeen-year-old fan named Bernadette O'Brien was crushed to death. The concert ended early and the following night's performance in Belfast was cancelled out of respect for her. However, while Corgan maintained that moshing's "time [had] come and gone", the band would continue to request open-floor concerts throughout the rest of the tour. The band suffered a personal tragedy on the night of July 11, 1996, when touring keyboardist Jonathan Melvoin and Chamberlin overdosed on heroin in a hotel room in New York City. Melvoin died, and Chamberlin was arrested for drug possession. A few days later, the band announced that Chamberlin had been fired as a result of the incident. The Pumpkins chose to finish the tour, and hired drummer Matt Walker and keyboardist Dennis Flemion. Corgan later said the decision to continue touring was the worst decision the band had ever made, damaging both their music and their reputation. Chamberlin admitted in a 1994 Rolling Stone cover story that in the past he'd "gotten high in every city in this country and probably half the cities in Europe." But in recent years, he had reportedly been clean. On July 17, the Pumpkins issued a statement in which they said, "For nine years we have battled with Jimmy's struggles with the insidious disease of drug and alcohol addiction. It has nearly destroyed everything we are and stand for. ... We wish [him] the best we have to offer". Meanwhile, the band had given interviews since the release of Mellon Collie stating that it would be the last conventional Pumpkins record, and that rock was becoming stale. James Iha said at the end of 1996, "The future is in electronic music. 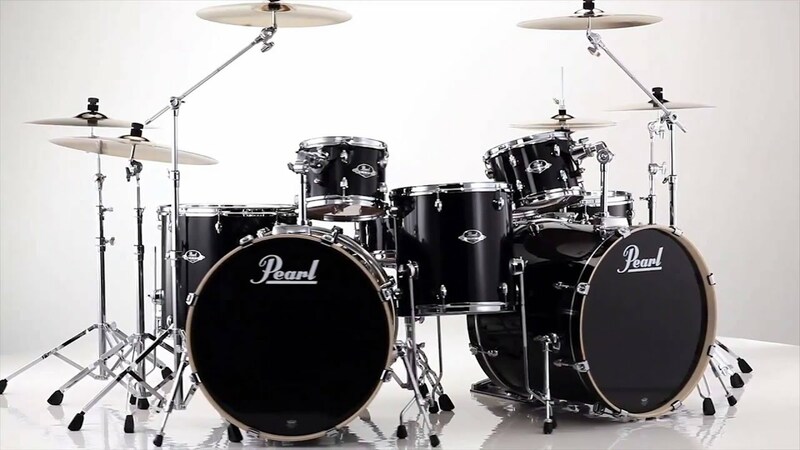 It really seems boring just to play rock music." Original Bassist D'arcy Wretzky in 1998. 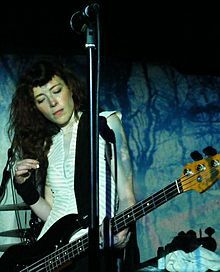 Bassist Melissa Auf der Maur joined after Wretzky's departure in 1999. In 2001 the compilation Rotten Apples was released. The double-disc version of the album, released as a limited edition, included a collection of B-sides and rarities called Judas O. The Greatest Hits Video Collection DVD was also released at the same time. This was a compilation of all of the Pumpkins promo videos from Gish to Machina along with unreleased material.Vieuphoria was released on DVD in 2002, as was the soundtrack album Earphoria, previously released solely to radio stations in 1994. 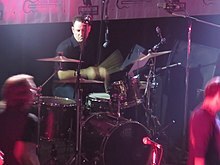 In addition to drumming with Zwan, Jimmy Chamberlin also formed an alternative rock/jazz fusion project band called The Jimmy Chamberlin Complex. The group released an album in 2005 titled Life Begins Again. Corgan provided guest vocals on the track "Lokicat". 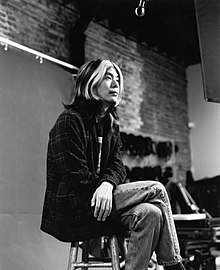 James Iha served as a guitarist in A Perfect Circle, appearing on their Thirteenth Step club tour and 2004 album, eMOTIVe. He has also been involved with other acts such as Chino Moreno's Team Sleep and Vanessa and the O's. He continues to work with Scratchie Records, his own record label, as well. D'arcy Wretzky has, aside from one radio interview in 2009, not made any public statements or appearances nor given any interviews since leaving the band in 1999. On January 25, 2000, she was arrested after she allegedly purchased three bags of crack cocaine, but after successfully completing a court-ordered drug education program, the charges were dropped. The band's new album, Zeitgeist, was released that same month on Reprise Records, entering the Billboard charts at number two and selling 145,000 copies in its first week.Zeitgeist received mixed reviews, with much of the criticism targeted at the absence of half of the original lineup. The album divided the Pumpkins' fanbase. 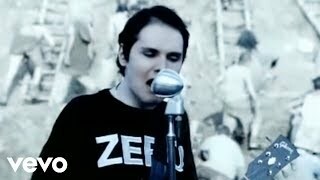 Corgan would later admit, "I know a lot of our fans are puzzled by Zeitgeist. I think they wanted this massive, grandiose work, but you don't just roll out of bed after seven years without a functioning band and go back to doing that". On March 25, 2014, Corgan announced he had signed a new record deal with BMG, for two new albums, titled Monuments to an Elegy and Day for Night, respectively. In June, it was revealed that Mike Byrne was no longer in the band, to be replaced by Tommy Lee of Mtley Cre on the new album, and Fiorentino would not be recording on the album either.Monuments to an Elegy was released on December 5, 2014, to generally positive reviews. The band toured in support of the album starting on November 26, with Rage Against the Machine's Brad Wilk filling in on drums and The Killers' Mark Stoermer filling in on bass. The follow-up proposed album Day For Night was cited for delayed late 2015 or early 2016 release. On his birthday on March 26, 2016, original guitarist James Iha joined Billy Corgan, Jimmy Chamberlin, and Jeff Schroeder on stage unannounced at the Ace Hotel in downtown Los Angeles. He performed a few songs, including "Mayonaise", "Soma" and "Whir" marking his first appearance with the Smashing Pumpkins in 16 years. Iha also played at the second of the two Smashing Pumpkins shows at the Ace Hotel the following day, which was Easter Sunday. Iha joined the Pumpkins for a third time at their April 14 concert at the Civic Opera House in Chicago. In July, Corgan began hinting of the possibility of reuniting the band original lineup, of himself, Iha, Wretzky, and Chamberlin, and in August, he stated he had begun reaching out to the original lineup about the feasibility of a reunion, including speaking to Wretzky for the first time in sixteen years. 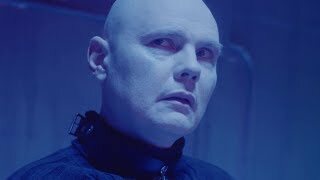 Despite the comments, Corgan would spend much of 2017 working on solo material - recording and releasing the solo album Ogilala and beginning work on another solo album for 2018. In June 2017 Chamberlin also mentioned the possibility of a reunion tour in 2018. In January 2018 Corgan shared a photo of himself, Iha, and Chamberlin together in recording studio. In February 2018 Corgan announced that he was working with music producer Rick Rubin on a future Smashing Pumpkins albums, that there were currently 26 songs he was actively working on, and that "the guitar feels once again like the preferred weapon of choice." Soon afterwards, Corgan shared a photo of sound equipment with Iha's name on a label, as well as announcing recording was finished on the upcoming album. On February 15, 2018, the band officially announced that founding members Iha and Chamberlin were back in the band. They will embark on the "Shiny and Oh So Bright Tour" starting in July, with a focus on performing material from their first five studio albums. 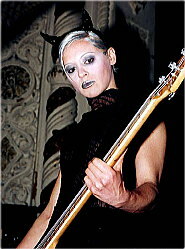 Original bassist D'arcy Wretzky claimed she had been offered a contract to rejoin the band but Corgan rescinded the offer soon after. Corgan released a statement denying the claims, stating "Ms. Wretzky has repeatedly been invited out to play with the group, participate in demo sessions, or at the very least, meet face-to-face, and in each and every instance she always deferred". Jack Bates (son of Joy Division bassist Peter Hook) will play bass on the tour. Bates previously toured with the Smashing Pumpkins in 2015. In March 2018, Corgan mentioned the band planned to release two EP's in 2018, with the first tentatively planned for May. On June 8, 2018, the first single from the set of music, "Solara", was released. The direction of the band is dominated by chief guitarist, lead vocalist, and principal songwriter Billy Corgan. Journalist Greg Kot wrote, "The music [of the Smashing Pumpkins] would not be what it is without his ambition and vision, and his famously fractured relationships with his family, friends, and bandmembers." Melissa Auf der Maur commented upon news of the group's reunion, "Everyone knows Billy doesn't need too many people to make a Pumpkins record, other than Jimmy [Chamberlin]--who he has on board." In a 2015 interview Corgan himself referred to the current iteration of the band "as sort of an open source collective"  noting that "It's whoever feels right at the time.". 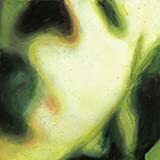 Many of Corgan's lyrics for the Pumpkins are cathartic expressions of emotion, full of personal musings and strong indictments of himself and those close to him. Music critics were not often fans of Corgan's angst-filled lyrics. Jim DeRogatis wrote in a 1993 Chicago Sun-Times article that Corgan's lyrics "too often sound like sophomoric poetry", although he viewed the lyrics of later albums Adore and Machina as an improvement. The band's songs have been described as "anguished, bruised reports from Billy Corgan's nightmare-land" by journalist William Shaw. Smashing Pumpkins, unlike many alternative rock bands at the time, disavowed the influence of punk rock on their sound. 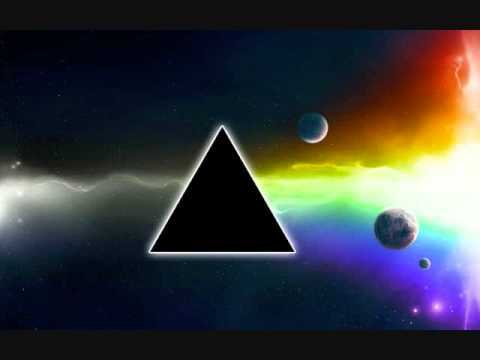 Overall, they have a diverse, densely layered, and guitar-heavy sound, containing elements of gothic rock, heavy metal,dream pop, psychedelic rock,progressive rock, shoegazing, and electronica in later recordings. Like many contemporary alternative bands, the Smashing Pumpkins utilized shifts in song dynamics, going from quiet to loud and vice versa. 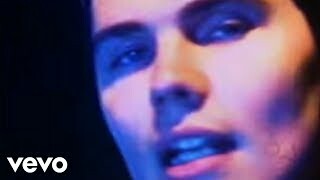 Hsker D's seminal album Zen Arcade demonstrated to the band how they could place gentler material against more aggressive fare, and Corgan made such shifts in dynamics central to the pursuit of his grand musical ambitions. Corgan said he liked the idea of creating his own alternative universe through sound that essentially tells the listener, "Welcome to Pumpkin Land, this is what it sounds like on Planet Pumpkin." 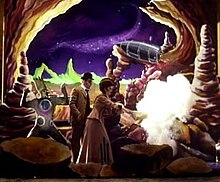 This emphasis on atmosphere carried through to Adore (described as "arcane night music" in prerelease promotion) and the Machina albums (concept records that tell the story of a fictional rock band). The Pumpkins drew inspiration from a variety of other genres, some unfashionable during the 1990s among music critics. Corgan in particular was open about his appreciation of heavy metal, citing Dimebag Darrell of Pantera as his favorite contemporary guitarist. When one interviewer commented to Corgan and Iha that "Smashing Pumpkins is one of the groups that relegitimized heavy metal" and that they "were among the first alternative rockers to mention people like Ozzy and Black Sabbath with anything other than contempt". Corgan went on to rave about Black Sabbath's Master of Reality and Judas Priest's Unleashed in the East. The song "Zero", which reminded Iha of Judas Priest, is an example of what the band dubbed "cybermetal. "Post-punk and gothic rock bands like Joy Division/New Order, Bauhaus, The Cure, and Depeche Mode were formative influences on the band, which covered such artists in concert and on record. Corgan also cited Siouxsie and the Banshees saying it was important to point back to bands that influenced them.Psychedelic rock was also referenced often in the band's early recordings; according to Corgan, "In typical Pumpkins fashion, no one at that point really liked loud guitars or psychedelic music so, of course, that's exactly what we had to do." 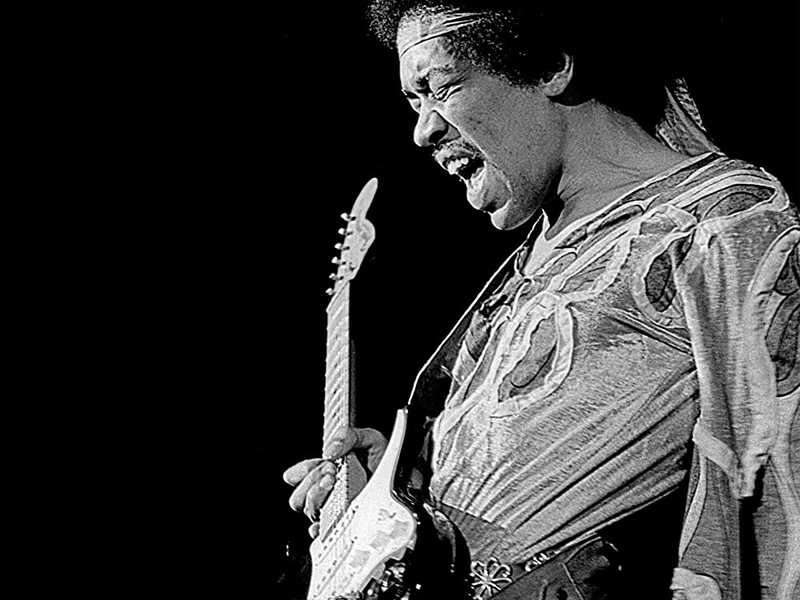 Corgan acknowledged that a chord he jokingly claimed as "the Pumpkin chord" (a G# octave chord at the eleventh fret of a guitar with the low E string played over it), used as the basis for "Cherub Rock", "Drown", and other songs, was in fact previously used by Jimi Hendrix. Other early influences cited by Corgan include Cream, The Stooges, and Blue Cheer. Regarding the band's influence upon other groups, Greg Kot wrote in 2001, "Whereas Nirvana spawned countless mini-Nirvanas, the Pumpkins remain an island unto themselves." Still, some artists and bands have been influenced by the Pumpkins, such as Nelly Furtado,Marilyn Manson,Third Eye Blind,Mark Hoppus of Blink-182,Tegan and Sara,Fall Out Boy,Rivers Cuomo,Panic! at the Disco, and My Chemical Romance. 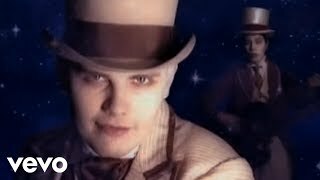 My Chemical Romance vocalist Gerard Way has said that they pattern their career upon the Pumpkins', including music videos. The members of fellow Chicago band Kill Hannah are friends with Corgan, and lead singer Mat Devine has compared his group to the Pumpkins. A scene from the "Tonight, Tonight" music video, winner of the MTV Video Music Award for Video of the Year in 1996. 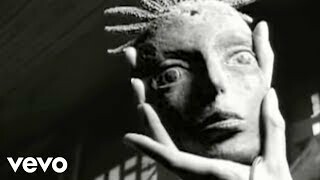 Drawing heavy influence from Georges Me;lis's A Trip to the Moon, the video was filmed in the style of a turn-of-the-century silent film using theater-style backdrops and primitive special effects. The band was nominated for several MTV Video Music Awards during the 1990s. In 1996, the group won seven VMAs total for the "1979" and "Tonight, Tonight" videos, including the top award, Video of the Year, for "Tonight, Tonight". The video was also nominated for a Grammy at the 1997 ceremony. Of the "Tonight, Tonight" video, Corgan remarked, "I don't think we've ever had people react [like this]... it just seemed to touch a nerve." Shortly after the band's 2000 breakup, the Greatest Hits Video Collection was released, collecting the band's music videos from 1991 to 2000 and including commentary from Corgan, Iha, Chamberlin, Wretzky, and various music video directors with outtakes, live performances, and the extended "Try, Try, Try" short film. The band has also released several music videos to YouTube and other online sources since reuniting. ^ Goldberg, Michael. "Smashing Pumpkin D'Arcy Dares To Be Happy". Addicted to Noise. Archived from the original on July 2, 2013. Retrieved 2012. ^ Greer, Jim (November 1993). "Billy, Don't Be a Hero". Spin. New York City: Bob Guccione, Jr. Archived from the original on September 4, 2015. Retrieved 2015. ^ Corgan, Billy (July 18, 2012). "Billy Corgan 2012 Interview on his Memories at The Metro in Chicago on WBEZ 91.5 FM". WBEZ (Interview). Interviewed by Joe Shanahan. Chicago, IL, USA. Retrieved 2018. ^ Davis, Darran (August 8, 2000). "Smashing Pumpkin Billy Corgan Leaving Hometown of Chicago". Yahoo! Music. Archived from the original on August 12, 2011. Retrieved 2007. ^ Shepherd, Julianne (June 13, 2005). "Billy Corgan (interview)". PitchforkMedia.com. Archived from the original on November 11, 2006. Retrieved . Corgan has said on various occasions--most notably during the band's 2000 performance on VH1 Storytellers--that "Today" was written as an ironic statement about this period of suicidial thoughts. See also Beck, Johnny (December 2001 - January 2002). "The Greatest Songs Ever! "Today"". Blender.com. Archived from the original on November 11, 2006. Retrieved . ^ "UB40? No, UB7!". EW.com. August 13, 1993. Archived from the original on October 17, 2012. Retrieved 2007. ^ Rosen, Craig (November 2, 1999). "Pumpkins' "Dream"". Yahoo! Music. Archived from the original on August 12, 2011. Retrieved . ^ Gabriella (June 1999). "Interview with Stephen Malkmus of Pavement". NYRock.com. Archived from the original on September 6, 2006. Retrieved 2006. ^ Kelly, Christina. 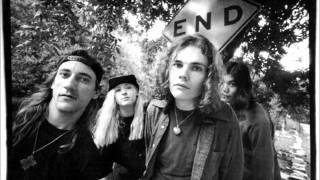 "Smashing Pumpkins-The Multi-Platinum Band is over the infighting but can the harmony last? Archived March 3, 2016, at the Wayback Machine." US Magazine, December 1, 1995. ^ "Smashing Pumpkins Artist Chart History: Albums". Billboard. Retrieved . 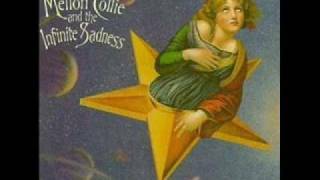 ^ "'Mellon Collie' Baby". EW.com. November 10, 1995. Archived from the original on October 4, 2011. Retrieved 2007. ^ "Top 100 Albums". Recording Industry Association of America (RIAA.com). Archived from the original on July 25, 2013. Retrieved . Sales for double albums are counted for each disc, thus 4.5 million copies of the double album package have been certified. ^ "Pumpkins' "Collectors" Set Has Mass Appeal". MTV. December 16, 1996. Archived from the original on May 9, 2007. Retrieved . ^ "Fan Crushed at Smashing Pumpkin's Show". MTV. 1996. Archived from the original on October 1, 2007. Retrieved 2006. ^ Errico, Marcus (July 17, 1996). "Smashing Pumpkins Drum Out Jimmy Chamberlin". Eonline.com. Archived from the original on July 16, 2012. Retrieved . ^ Graff, Gary. "Smashing Pumpkins--Rave of the Future", Guitar World. December 1996. ^ Fricke, David (December 29, 1998). "When Billy Corgan Speaks..." Rolling Stone. Archived from the original on January 27, 2007. Retrieved 2006. ^ "Smashing Pumpkins Raise Over $2.8 Million on Charity Tour". MTV. September 22, 1998. Archived from the original on May 9, 2007. Retrieved . ^ "D'Arcy Exits Smashing Pumpkins". Billboard. September 10, 1999. Archived from the original on September 29, 2007. Retrieved . ^ a b Newman, Melinda & Jonathan Cohen (May 24, 2000). "Corgan: Smashing Pumpkins To Break Up". Billboard. Archived from the original on September 29, 2007. Retrieved 2006. ^ "Santana Still No. 1 Despite Strong Debuts". Billboard. March 9, 2000. Archived from the original on October 11, 2007. Retrieved . ^ Tarlach, Gemma (April 11, 2000). "Once-Sizzling Bands Grapple with Fading Fame". Milwaukee Journal Sentinel. Archived from the original on September 29, 2007. Retrieved . ^ "Gold and Platinum Database Search". Recording Industry Association of America (RIAA.com). Archived from the original on September 2, 2006. Retrieved . ^ "Machina II/The Friends and Enemies of Modern Music". 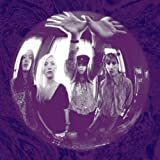 The Smashing Pumpkins Fan Collaborative Discography (SPFC.org). Archived from the original on October 17, 2012. Retrieved 2007. ^ a b Fricke, David (December 22, 2000). "Smashing Pumpkins Look Back in Wonder". Rolling Stone. Archived from the original on September 9, 2009. Retrieved 2006. ^ Dansby, Andrew (September 15, 2003). "Zwan Call It Quits". Rolling Stone. Archived from the original on October 1, 2007. Retrieved 2007. ^ Soghomonian, Talia (October 2005). "Interview: Billy Corgan". MusicOMH.com. Archived from the original on January 8, 2009. Retrieved 2009. ^ Corgan, Billy (February 17, 2004). "Smashing Pumpkins (weblog)". LiveJournal.com. Archived from the original on December 22, 2009. Retrieved . ^ Corgan, Billy (June 3, 2004). "Smashing Pumpkins (weblog)". LiveJournal.com. Archived from the original on December 22, 2009. Retrieved . ^ Kiener, Dan (2005). "Pumpkins Reborn". DrownedInSound.com. Archived from the original on June 9, 2009. Retrieved 2009. ^ Harris, Chris (February 2, 2006). "Smashing Pumpkins Reunion Is Under Way, According to Sources". MTV. Archived from the original on February 10, 2006. Retrieved 2006. ^ Kaufman, Gil (April 21, 2006). "Smashing Pumpkins Site Says "It's Official"--Band Has Reunited". MTV. Archived from the original on May 1, 2006. Retrieved 2006. ^ Goodman, Elizabeth (April 6, 2007). "Exclusive: James Iha Speaks Out Regarding His Involvement in Pumpkins Reunion". Rolling Stone. Archived from the original on March 3, 2012. Retrieved 2007. ^ "Movers and Shakers in Canadian Arts". Globe and Mail. April 23, 2007. Archived from the original on September 4, 2015. Retrieved 2007. ^ Cohen, Jonathan (April 22, 2007). "Smashing Pumpkins Return to the Stage In Paris". Billboard. Archived from the original on July 4, 2014. Retrieved 2007. ^ "The Police and Smashing Pumpkins for US Live Earth". NME. April 10, 2007. Archived from the original on November 6, 2007. Retrieved 2007. ^ Hasty, Katie (July 18, 2007). "T.I. Holds Off Pumpkins, Interpol To Remain No. 1". Billboard. Archived from the original on June 8, 2013. Retrieved 2007. ^ Luerssen, John D. (March 19, 2008). "Smashing Pumpkins Entering the Studio to Plot Their Next Move". Spinner.com. Archived from the original on May 15, 2008. Retrieved . ^ Kot, Greg (December 9, 2008). "Billy Corgan dishes on the Smashing Pumpkins: The past is dead to me". Chicago Tribune. Archived from the original on October 6, 2013. Retrieved 2008. ^ Prince, David J. (March 20, 2009). "Smashing Pumpkins Sheds Chamberlin; Billy Corgan Heads To Studio All Alone". Billboard. Archived from the original on February 19, 2013. Retrieved 2009. ^ Lindsay, Andrew (March 24, 2009). "Chamberlin on leaving the Pumpkins". Stereokill.net. Archived from the original on June 9, 2009. Retrieved 2009. ^ "Jimmy Talks About Leaving Pumpkins". Idiomag.com. March 26, 2009. Archived from the original on June 9, 2009. Retrieved 2009. ^ "Skysaw Touring with Minus the Bear in May/June Archived September 6, 2015, at the Wayback Machine.". Dangerbird Records. 2011-04-21. ^ "The Smashing Pumpkins Replace Drummer". Billboard. Associated Press. August 19, 2009. Archived from the original on July 4, 2014. Retrieved 2009. ^ "The Smashing Pumpkins to release free album". NME. September 17, 2009. Archived from the original on September 24, 2009. Retrieved 2009. ^ Kreps, Daniel (December 7, 2009). 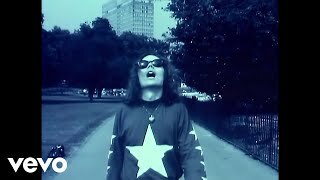 "Smashing Pumpkins Unveil New "Teargarden by Kaleidyscope" Track "A Song for a Son"". Rolling Stone. Archived from the original on December 9, 2009. Retrieved 2009. ^ Dombal, Ryan (December 7, 2009). "Hear the Epic New Smashing Pumpkins Track: "A Song for a Son"". Pitchfork Media. Archived from the original on December 13, 2009. Retrieved 2009. ^ Phipps, Keith (March 9, 2010). "Help Wanted: Pumpkins". AVClub.com. Archived from the original on March 12, 2010. Retrieved 2010. ^ "Smashing Pumpkins Acknowledge Report Identifying New Bassist Archived May 12, 2010, at the Wayback Machine.". HipstersUnited.com. 2010-05-08. ^ "tour history - dates". Spfc.org. Archived from the original on July 5, 2015. Retrieved 2015. ^ Fiorentino, Nicole. "My Q & A Archived January 1, 2016, at the Wayback Machine.". 2011-02-24. 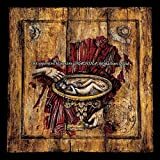 ^ "The Smashing Pumpkins Debut New Song "Lightning Strikes" Today Via RollingStone.Com Archived October 11, 2016, at the Wayback Machine.". Press Release. 2011-03-17. ^ a b Perpetua, Matthew (April 26, 2011). "Smashing Pumpkins Announce Reissues, New Album". Rolling Stone. Archived from the original on August 16, 2011. Retrieved 2011. ^ Kot, Greg (April 26, 2011). "Smashing Pumpkins announce new album, extensive reissues". Chicago Tribune. Archived from the original on April 29, 2011. Retrieved 2011. ^ Fiorentino, Nicole. "My "Oceania" Experience Archived March 4, 2016, at the Wayback Machine.. 2011-07-11. 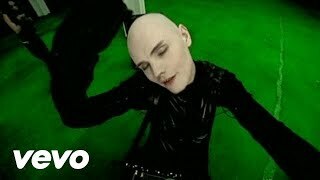 ^ Smashing Pumpkins 'Writing Songs for a New Album,' Corgan Says Archived March 25, 2013, at the Wayback Machine.. Billboard. (September 05, 2012). Retrieved on 2012-09-16. 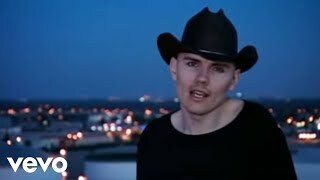 ^ "Concert Review: Smashing Pumpkins & Morning Parade (video) at Barclays Center December 10, 2012". New York Music News. April 26, 2011. Archived from the original on January 16, 2013. Retrieved 2012. ^ "Smashing Pumpkins Releasing Two Albums in 2015 Archived February 10, 2015, at the Wayback Machine.". Spin Magazine. March 25, 2015. ^ "News on Tommy Lee Playing on 'Monuments to an Elegy' / SP Album Update". Smashingpumpkinsnexus.com. Archived from the original on January 7, 2015. Retrieved 2015. ^ Buchanan, Brett (July 15, 2014). "Nicole Fiorentino Reunites With Former Smashing Pumpkins Bandmate Mike Byrne". AlternativeNation.net. Archived from the original on May 30, 2015. Retrieved 2014. ^ "Smashing Pumpkins Tap Rage Against the Machine's Brad Wilk For Upcoming Shows". Blabbermouth. Archived from the original on November 21, 2014. Retrieved 2014. ^ Corgan, Billy. "Parlez-Vous/Album Update Plus Thoughts On 'Candide' And SP Tour Archived January 7, 2015, at the Wayback Machine.". SmashingPumpkins.com blog post. February 9, 2015. ^ "Smashing Pumpkins & Marilyn Manson Co-Headlining North American 2015 End Times Tour Schedule". April 7, 2015. Archived from the original on April 17, 2015. Retrieved 2015. ^ "Marilyn Manson and The Smashing Pumpkins Announce Summer Tour". April 1, 2015. Archived from the original on April 4, 2015. Retrieved 2015. ^ Corgan, Billy (February 25, 2016). "Live in Studio From Lala Land". Facebook. Archived from the original on April 4, 2018. Retrieved 2016. ^ DeCosta, Nicole (March 24, 2016). "Smashing Pumpkins strip down for tour kick-off in Portland". portlandtribune.com. Archived from the original on March 27, 2016. Retrieved 2016. ^ "Watch Smashing Pumpkins Reunite With James Iha at Los Angeles Concert". Rolling Stone. Archived from the original on March 29, 2016. Retrieved 2016. ^ Michael Roffman & Heather Kaplan (April 15, 2016). "Live Review: The Smashing Pumpkins reunite with James Iha in Chicago (4/14)". Consequence of Sound. Archived from the original on April 15, 2016. Retrieved 2016. 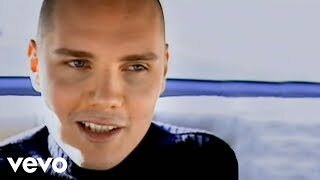 ^ "Billy Corgan Reconciles With Ex-Smashing Pumpkins Bassist D'arcy Wretzky, Addresses Reunion Rumors - SPIN". August 16, 2016. Archived from the original on August 17, 2016. ^ "Smashing Pumpkins' drummer hints at 2018 reunion for original line-up". NME. Archived from the original on July 2, 2017. Retrieved 2017. ^ Trendell, Andrew (February 8, 2018). "It looks like Smashing Pumpkins' reunion album is finished, but who's the bassist?". NME. Archived from the original on February 10, 2018. Retrieved 2018. ^ "Smashing Pumpkins Plot Reunion Tour Culling From First Five Albums". Archived from the original on February 15, 2018. ^ "Smashing Pumpkins reunite for tour -- without D'arcy Wretzky". Archived from the original on February 15, 2018. ^ Kreps, Daniel (February 14, 2018). "D'arcy Wretzky Slams Billy Corgan, Smashing Pumpkins Reunion". RollingStone.com. Archived from the original on February 14, 2018. Retrieved 2018. ^ Kreps, Daniel (February 12, 2018). "Smashing Pumpkins Explain D'arcy Absence Ahead of Rumored Reunion". RollingStone.com. Archived from the original on February 15, 2018. Retrieved 2018. ^ COSCARELLI, Joe (March 22, 2018). 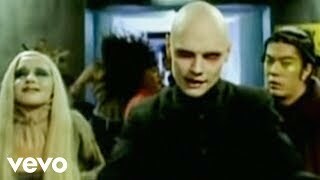 "Smashing Pumpkins Say They're Happy Now. Can They Keep It Together?". New York Times. Archived from the original on March 25, 2018. Retrieved 2018. ^ "The Smashing Pumpkins Recruit Peter Hook's Son to Play Bass". KRRO. Archived from the original on June 26, 2015. Retrieved 2015. ^ Sodomsky, Sam (March 9, 2018). "Billy Corgan Says 2 New Smashing Pumpkins EPs in the Works". Archived from the original on March 12, 2018. Retrieved 2018. ^ "Smashing Pumpkins Reunion Is On". NME. 2006. Archived from the original on December 9, 2006. Retrieved 2007. ^ a b Anderson, Kyle. "Smashing Pumpkins' Billy Corgan on touring with Manson and the 'open source' nature of his band". Entertainment Weekly. Archived from the original on November 28, 2015. Retrieved 2016. ^ Shaw, William (December 1993). "Appetite for Destruction". Details. ^ a b Watson, William E.; Halus, Jr., Eugene J. "Irish Americans: The History and Culture of a People". ABC-CLIO. ^ Kaufman, Gil (January 14, 1998). "Pumpkins Recording Album of "Arcane Night Music"". Addicted to Noise/JamesIha.org. Archived from the original on August 2, 2007. Retrieved 2006. ^ Commentary for "Siva" music video. 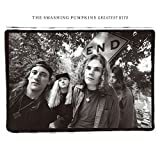 The Smashing Pumpkins 1991-2000: Greatest Hits Video Collection (Virgin Records, 2001). ^ Parker, Lyndsey (October 25, 2000). "Exclusive LAUNCH Artist Chat". Nelly Furtado. Yahoo! Music. Archived from the original on March 22, 2007. Retrieved . 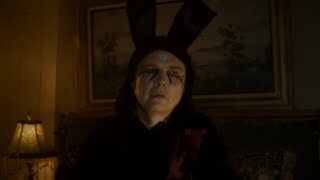 ^ "Marilyn Manson: The Music That Made Me". Rolling Stone. May 8, 2015. Archived from the original on May 7, 2016. Retrieved 2016. ^ "Mark Hoppus from Blink-182 on Siamese Dream, Masterpieces - Smashing Pumpkins, Zane Lowe - BBC Radio 1". BBC. ^ Moon, Jin (July 1, 2005). "Twins Peak - Tegan and Sara". ASCAP. Archived from the original on March 24, 2016. Retrieved 2016. ^ Rock & Roll Hall of Fame (July 30, 2014). "Interview with Fall Out Boy" - via YouTube. ^ "Watch Weezer's Rivers Cuomo cover Oasis, REM, Pixies and Smashing Pumpkins - NME". March 14, 2018. ^ "Panic at the Disco's Secret Influences". Rolling Stone. October 28, 2012. Archived from the original on February 6, 2016. Retrieved 2016. ^ Tyme, Gwyn (May 5, 2005). "My Chemical Romance--Interview with Gerard Way". MusicPix.net. Archived from the original on September 27, 2007. Retrieved . ^ Montgomery, James (January 13, 2005). "My Chemical Romance Aim for Smashing Pumpkins Status". MTV. Archived from the original on November 19, 2006. Retrieved 2006. ^ Hudson, Marc (September 18, 2006). "Future Imperfect: Mat Devine of Kill Hannah". PopSyndicate.com. Archived from the original on September 28, 2007. Retrieved 2007. ^ Bondowski, Karen (December 21, 2006). "Interview with Kill Hannah's Matt Devine". Livewire (ConcertLivewire.com). Archived from the original on February 21, 2007. Retrieved 2007. ^ EMI Music (October 2, 2012). 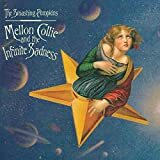 "THE SMASHING PUMPKINS' Defining 1995 Double Album 'MELLON COLLIE & THE INFINITE SADNESS' Earns Diamond Certification From The RIAA For Sales Of 10 Million Discs". PRNewswire.com. Archived from the original on April 2, 2018. Retrieved 2018. ^ "Gold & Platinum - RIAA". RIAA.com. Archived from the original on December 16, 2016. Retrieved 2018. ^ Commentary for "Tonight, Tonight" music video. The Smashing Pumpkins 1991-2000: Greatest Hits Video Collection (Virgin Records, 2001). ^ Greg Prato. "Greatest Hits [Video/DVD]". Allmusic. Retrieved 2012. ^ Commentary for "Bullet with Butterfly Wings" music video. The Smashing Pumpkins 1991-2000: Greatest Hits Video Collection (Virgin Records, 2001). ^ Commentary for "Rocket" music video. The Smashing Pumpkins 1991-2000: Greatest Hits Video Collection (Virgin Records, 2001). ^ Commentary for "Thirty-Three" music video. The Smashing Pumpkins 1991-2000: Greatest Hits Video Collection (Virgin Records, 2001). ^ Prato, Greg. "Greatest Hits [Video/DVD]". Allmusic. Archived from the original on September 29, 2014. Retrieved 2014. DeRogatis, Jim (2003). Milk It! : Collected Musings on the Alternative Music Explosion of the 90's. Da Capo. ISBN 0-306-81271-1. Erlewine, Stephen Thomas; Prato, Greg. "Biography". Allmusic. Thompson, Dave (2000). Alternative Rock. San Francisco: Miller Freeman, Inc. ISBN 0-87930-607-6.